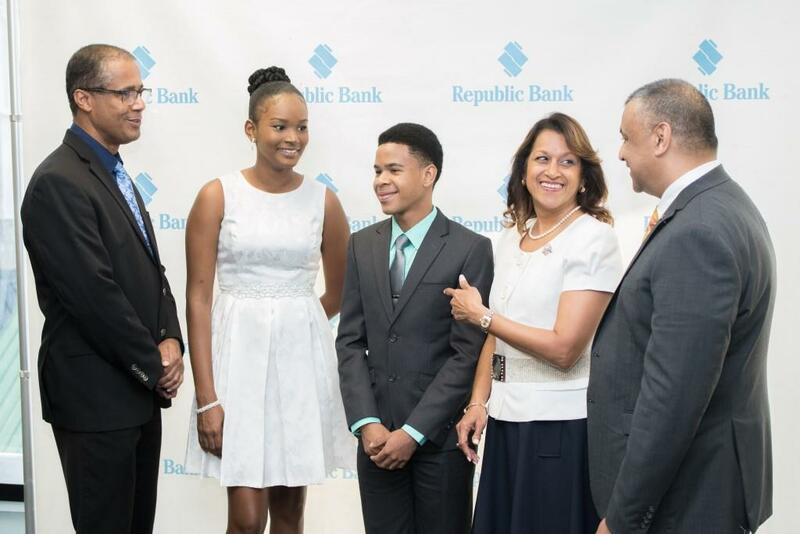 Speaking at the 32nd graduation ceremony on May 29, at Republic House, Managing Director, Nigel Baptiste defended the programme against naysayers, asserting that it was not designed to create bankers but to bridge the gap between school and work, while providing the tools to prepare for the next step into adulthood. In his address, Baptiste challenged the graduates to end the cycle of “nepotism, cronyism and corruption” while using the lessons learned during the programme to effect change in their respective communities. General Manager, Group Human Resources, Anna-María García-Brooks who delivered welcome remarks, congratulated the graduates, urging them to stay grounded and to continue on the journey of finding their passion. Co-Valedictorians, Karissa Lewis and Tyreece Regis, echoed the sentiments of Baptiste and García-Brooks, expressing to the graduating class that they all serve a purpose. “Our lives will never be futile or useless. Never cross your fingers and hope but be assured that we have a purpose,” read Lewis and Regis. Over the past seven months, the Youth Link apprentices were each attached to a Republic Bank branch or Specialist Unit, where they were exposed to the world of work. They attended a number of workshops in etiquette, self-development and abstinence. Among the host of activities, the participants, under the tutelage of Sheldon Mason of RapPort, lectured to their peers at El Dorado East Secondary School, Bishop Anstey High School East and Trinity College East on HIV and Aids, through the Youth Link Care-A-Van. At the end of the evening, four graduates were awarded special prizes for excelling in specific areas. Anton Dass, took home the award for Best Business Plan, while Narreon Ramnarine was awarded Most Disciplined Youth Link Apprentice. The Most Improved Youth Link Apprentice Award went to Aaron Paul while Pierce Dabideen received the highest honour of Most Outstanding Youth Link Apprentice. In the upcoming months, some of the Youth Link Apprentices will have the opportunity to resume their positions in the Bank’s employ.